It sounds like something out of a Sci-Fi movie. NASA wants to send surgical robots on resupply missions, like the SpaceX 8 flight that's going to the International Space Station next week. With the advances being made in surgical robotics, one day a surgeon on Earth could send instructions to a medical robot from millions of miles away. NASA is considering remote surgery on the Space Station, but one day the technology could be used on a mission to colonize Mars. 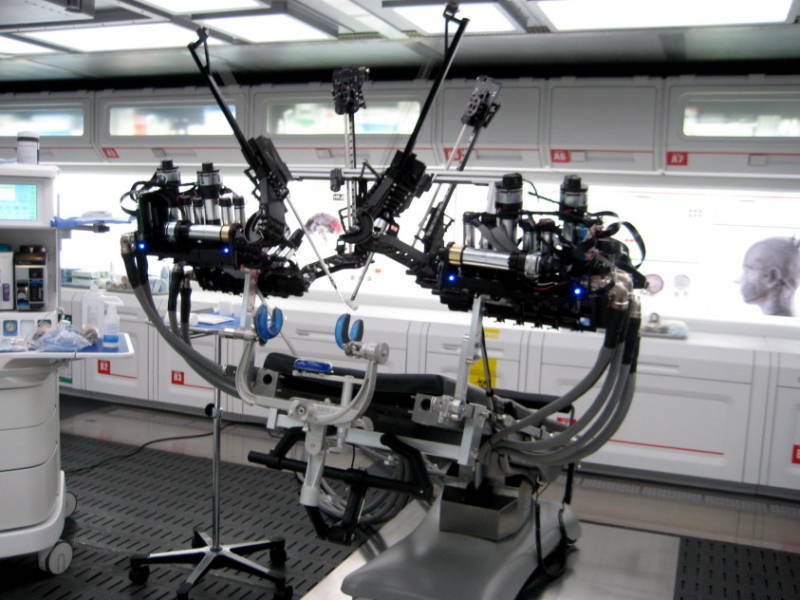 Eventually remotely controlled surgical robots could travel with astronauts on a mission to colonize Mars. But that's a long time in space (at least a few years) and a ruptured appendix or other emergency is bound to happen. And surgery in space would be difficult without gravity and other luxuries we have back here on earth. So before surgical robots can 'scrub up' for medical emergencies in deep space, NASA is working with robotics companies to perfect small scale tele-dissection exercises, first here on earth, then on the space station. "Remote dissection on the International Space Station provides an extreme test case for long distance telesurgery," says David Drajeske, CEO of robotics company Applied Dexterity. Drajeske's company has been working with NASA to test RAVEN, a human-assisted robot that can perform minimally invasive surgery, though RAVEN isn't yet approved for use on humans. RAVEN and its open-source software were developed at the University of Washington and are now used at 18 research labs around the world and at the Johnson Space Center in Houston. 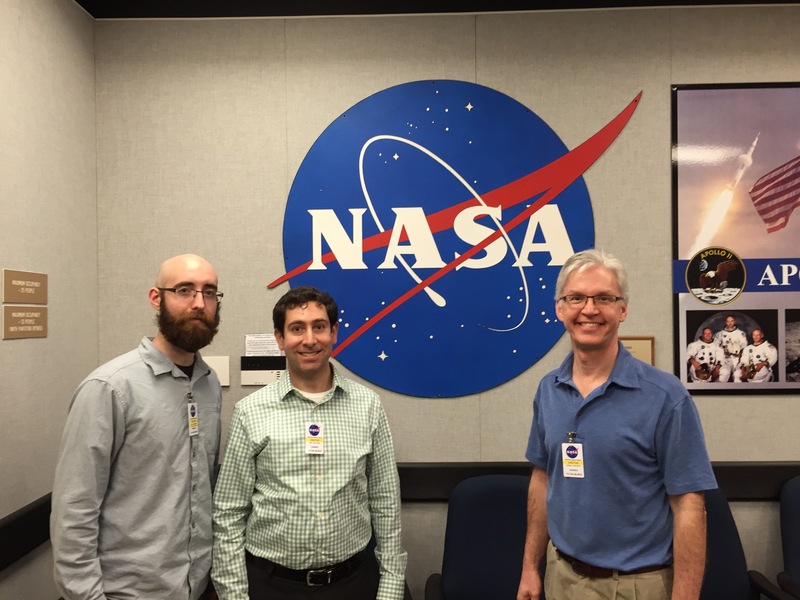 In February Drajeske and his team installed RAVEN in the Lunar Sample Laboratory Facility (where moon rocks have been stored since 1979) and for a week they taught four NASA staffers how to perform laparoscopic surgery using the device. NASA staffers used two handheld devices attached to a desktop computer to manipulate the robot, which was in the other room with the specimen. Video footage from a camera above the rodent appeared on the computer screen. The experiment also simulated the expected time delay between the controller on the ground and the space station, which is about one second. The remote rodent dissections provide two opportunities, first to test the logistics of remote surgery and second, to collect tissue samples in a micro-gravity environment, which has degenerative effects on the body. In orbit, tissue samples reveal how micro-gravity affects an organism's immune system, muscles and bones. Astronauts often experience muscle wasting and bone loss because there’s no gravitational weight on their bodies. But taking animal tissue samples to measure this is laborious and time-consuming. "Astronaut Scott Kelly has said doing a day of dissections is similar to doing a space walk—it can be mentally taxing," says Drajeske. Drajeske estimates that RAVEN could reduce crew time spent on dissections by 50 percent. International Space Station National Lab Office Manager Mike Read observed the RAVEN testing at the Johnson Space Center. "From a tech development perspective, it could have a lot of applications in space operations." "Our goal is to send something up like RAVEN. It could help a future mission and also have terrestrial benefits," says Read referring to RAVEN's applications for developing countries. Drajeske's team would also need to build a smaller version of RAVEN that would fit in the space station's micro-gravity glovebox—a sealed environment used to contain biological experiments and avoid contamination. And then there are big picture questions. "How do you get authorization to operate in space?" asks Drajeske. "There is definitely a learning curve."